First, you will want to laminate the pages for durability and so that you can add Velcro later. 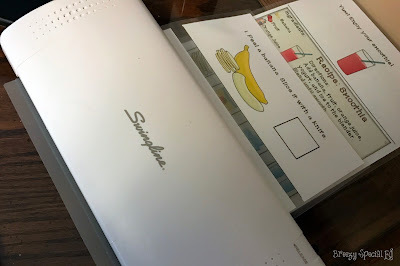 I use this laminator and 3 mil sheets for most of the pages, but I will use 5 mil for the bottom page and the interactive pieces. Next, you will need to punch holes in order to bind your book together! You can use a hole punch and binder rings OR you can use a binding machine like the ProClick below. Next, insert a spiral coil through the holes. 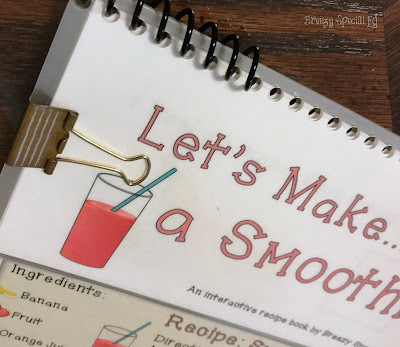 I like to keep everything together by clipping the pages together with a binder clip so that the holes don't move around. 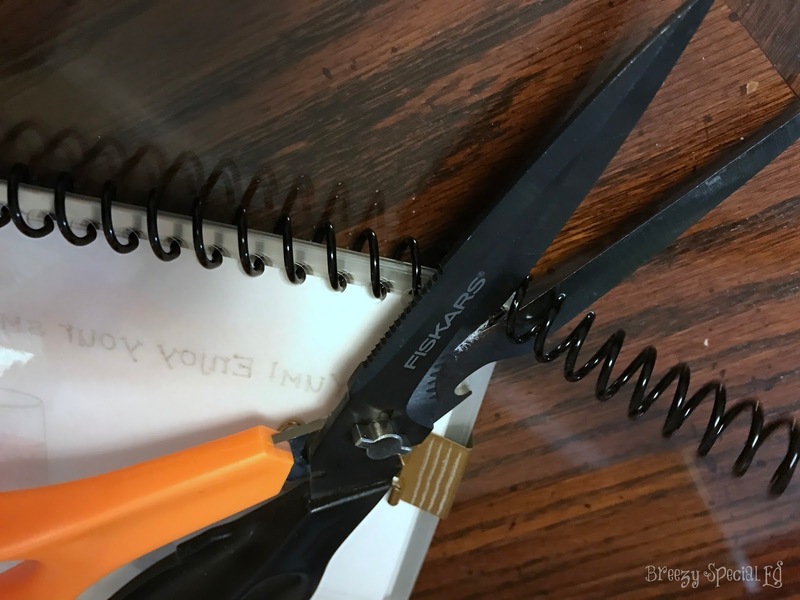 Just cut off the extra coil with a normal scissors. Then, add Velcro to the appropriate spaces in the book. Make sure you use opposite Velcro pieces to the book pages and the backs of the pieces. For this book I used hard Velcro on the pages and soft Velcro on the pieces. 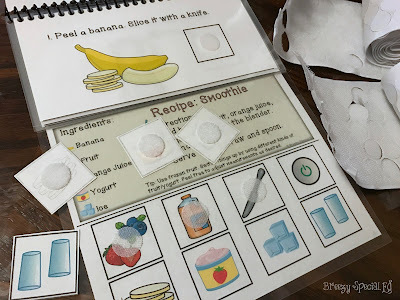 I did it this way because the hard Velcro is clearer, and this way students can match the pieces to the bottom page if they are matching to the same picture, instead of the page on the book. And there you have it, a beautifully binded adapted / interactive book! 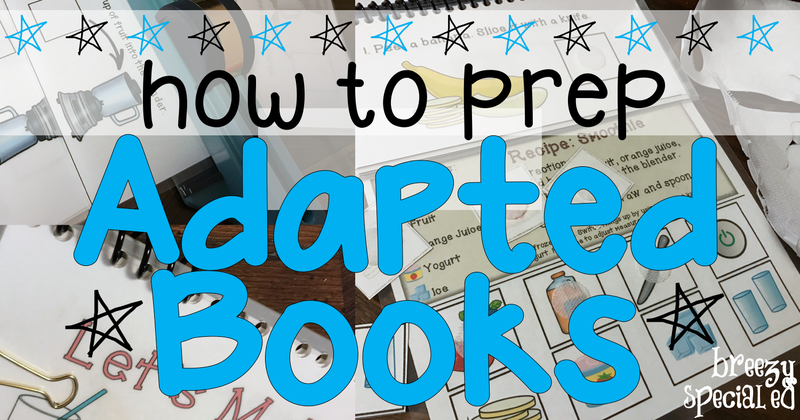 Looking for some adapted books? 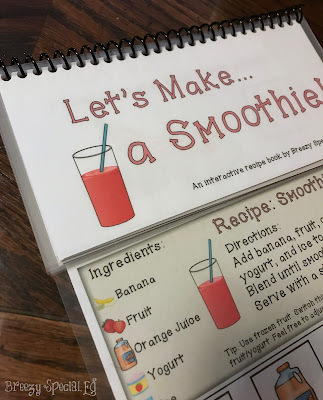 Grab these recipes books (as shown) here, these community sign books here, and check out all of my adapted books here in my TpT store! I appreciate you posting how you put together your books. I will pin this for later too so that I can refer to it later. The extra adapted real books are a good example too. I only recently have gotten a spiral book binder, I found one at the Goodwill. What I have been using to bind my books is zip ties. My students tend to stem by open and closing the binder clips, and they are expensive. You can buy 100 zip ties at Harbor Freight for $2. My next step is to buy some spiral binder pieces and give that a go. Happy Laminating! Thank you again! Thank you for these tips! I really like the binder clip idea for assembly - genius! !